Has anyone ever had a good high school reunion? Personally, I haven’t been to one yet and from what I’ve heard and seen, the answer seems to be no, and I think Jake would agree. Gina and Jake head to their High School reunion which takes a rather unhappy turn when everyone remembers that Jake was branded ‘The Tattler’ even though he has always denied it; Jakes cool career couldn’t even stop them from remembering about it. Whilst Jake deals with everyone calling him ‘The Tattler’ Gina goes around boasting about her fake careers which change often, she goes from the writer of the Thor films to an architect to an app developer. When talking about both Gina is very very convincing, Gina is amazing. As the night goes on Jake and Amy try their best to find the real tattler and after some investigation, they find out it was Gina. Jake is obviously hurt by this, but Gina explains she done it to keep him out of the trouble that his friends were getting into which is understandable. Jake then is determined to get Gina an investor for her app idea which then leads to a quite sad conversation about Gina leaving the Nine-Nine and moving on. Gina will be missed a lot. I’m not ready for her to leave, the dynamic in the precinct will definitely change without her and her jokes. 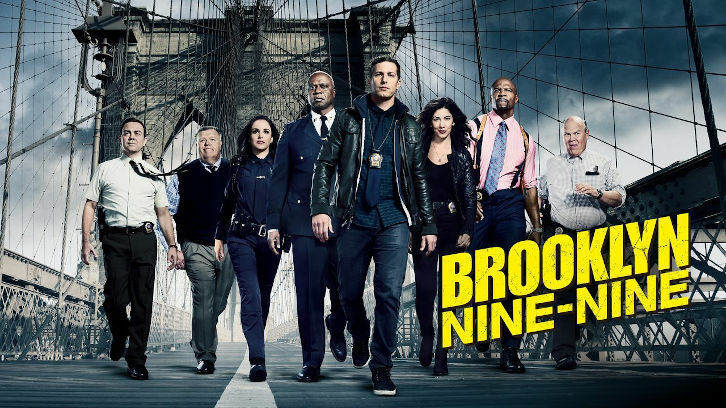 Meanwhile at the precinct, Rosa has a hard time figuring out who to date and Terry, Holt, Hitchcock and Scully try to win a radio competition. Boyle is determined to help Rosa and turns to the ‘Boyle Decision Making Manual’ which does little to help, so he then makes Rosa hang upside down like a bat and make her decision. That doesn’t work either and eventually, when Rosa jumps down like the badass, she is it’s too late and one of the people she is dating has ended it. But luckily, she’s happy with the person left. I still really want to know if its and she or a he and I wonder if we will see them anytime soon. Holt and Terry sadly lose the competition because they did not listen to Hitchcock and Scully who guessed that the crinkle, they had to guess was a bag of chips. I could not hold myself together after this joke, it was hilarious. -Jake and Gina’s dance in the cold open whilst singing ‘DDC’ was amazing. -It was nice seeing Holt enjoying himself without being productive at the same time. -Jake and Amy as always are adorable in the episode. -I may or may not have teared up a little at Jake and Gina’s conversation about Gina moving on. Overall, the episode was hilarious, and I enjoyed it a lot. Let me know what you thought of the episode in the comments below!